Once it is understood that Messiah Jesus (A.S.) did not declare war on “Roman imperialism” as so many deceptive Jewish “historians” would like us to believe, and that his revolution was a spiritual one waged to end the Jewish supremacism of the deranged ethnocentric-nationalistic Zealots and the twisted, vastly-powerful rabbinical cabal of the Pharisees (1), an ideology still very much alive and well in modern day (2), the “Two Masters” principle becomes all the more prevalent to current geopolitical happenings, specifically in regards to occupied Palestine. While there is indeed much offensive and racist Zionist propaganda present in the explanations of many of the participants which certainly deserves examination and subsequent deconstruction, that is not the purpose of this essay. 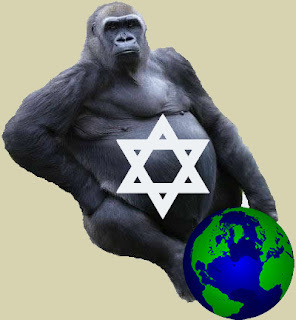 The 800-pound gorilla in the room is the following question: why are “critics of Israel” and “Solidarity activists” taking part in a confab with rabid Zionist fanatics and unifying with them on the matter of being “pro-Israel?” Is it not frighteningly telling that Rabbi Michael Lerner, Cecilie Surasky of Jewish Voices For Peace and “Crisis of Zionism” author Peter Beinart all happily identify themselves as “pro-Israel” despite the fact that their reputations precede them as something contradictory to this self-admitted truth? And isn’t even more demonstrative that this view, no matter how well-masked it may be, is shared by Caroline Glick, editor of Zionist entity mouthpiece newspaper The Jerusalem Post, advisor with the neoconservative “Center For Security Policy” think tank and head of the brutally racist “Israeli” Internet-based show “LatmaTV (6)?” And Martin Peretz, one of America’s most influential, maniacal Zionists and who sincerely thinks that “Muslim life is cheap (7).” And Morton Klein, Nakba denier, devoted Zionist racist, ethnic-cleansing-advocate and longtime head of the powerful Zionist Organization of America (8). And Benny Morris, the ruthlessly racist Jewish supremacist “historian” who is quite proud of “Israel” for perpetrating the Nakba, who legitimately believes that Islam doesn’t value human life, who views Arabs as a whole as “barbarians” and Palestinians in particular as “wild animals who must be caged (9).” And maybe the most stunning of all, Kenneth J. Bialkin, a member of the Zionist criminal network that planned, executed and covered up the September 11th terror attacks, a Jewish supremacist who rejects the idea of Jews abandoning their “chosen-ness” and assimilating into the Gentile World and a Zionist stalwart who has headed (or currently heads) some of the most powerful Jewish organizations in the world, including the Anti-Defamation League of B’nai B’rith, the Conference of Presidents of Major American Jewish Organizations and the “Israeli”-military-intelligence-tied America-“Israel” Friendship League (10). Is something not vastly askew when persons such as this, some of whom are amongst the highest-ranking movers and shakers in the global Jewish-Zionist lobbying network, are working side by side with “friends of Palestine” to establish a certified definition for “pro-Israel” and at the very core of this effort is the solidification of the foreign Jewish invader-presence in Palestine which the sorely-missed revolutionary giant Malcolm X once rightfully observed “has no intelligent or legal basis in history?” Indeed it is. This is the very embodiment of the Jewish tribal nexus; Jews of different political persuasions, including those perceivably “hostile” to the Zionist entity, working in unison for the furtherance of Jewish interests at the expense of non-Jews who, in this case, are the occupied, colonized, besieged, ethnically cleansed and terrorized Palestinian people. One of the core principles of this Jewish tribal nexus is a political doctrine called “Morphing Zionism,” first identified by Palestinian luminary Nahida Izzat (11). 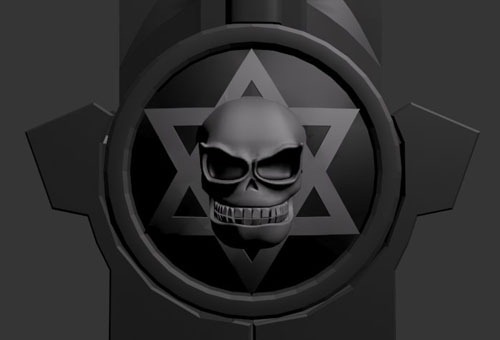 This concept is an amalgamation of “Cultural Zionism,” founded by “spiritual” Jewish supremacist Ahad Ha’am (real name: Asher Zvi Hirsch Ginsberg), and “Post-Zionism,” a common theme found in the discourse of the “Israeli left,” which, by the way, is in and of itself a blatant cover for Zionist crimes against humanity (12). Morphing Zionism seeks to impose Zionist (read: Jewish) culture on the aboriginal people of Palestine while “moving beyond” the history of Zionism, thus exonerating Zionist Jews from the heartless, vicious crimes that they have committed against Palestinians (and other regional Arab peoples) for more than a century. Morphing Zionism masks the injustice and sweeps the spilled blood under the rug. 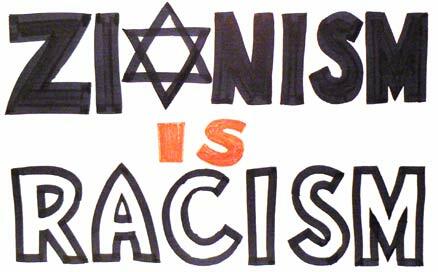 Morphing Zionism is the antithesis to the Right of Return and the full liberation of Palestine. The long-term goal of the Jewish tribal nexus exposed (albeit inadvertently) by the Moment Magazine symposium is to internationalize Morphing Zionism, granting legitimacy to it and forever establishing Jewish supremacy over the land of Palestine. 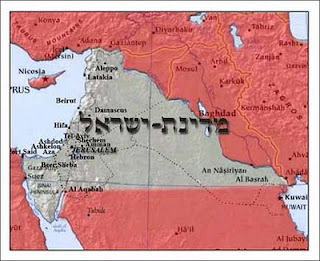 Whether this comes to fruition through the activism of hardline Jewish Zionists pushing for “two states” or dovish Jewish “anti-Zionists” pushing for “one state” does not matter to the Jewish Power Matrix; all that matters is that “Israel” remains sui generis on the international stage as a “Jewish homeland” that grants “citizenship” to every Jewish person on the planet even if they do not live on the stolen land. 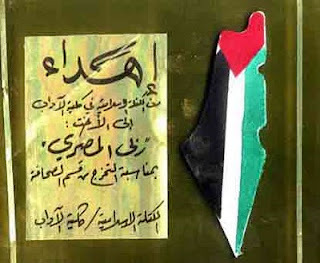 Assuredly, this perfidious plot will be resisted by the Palestinian people and their allies as they have resisted every Zionist plot before it; awareness however, must be raised as there is an additional stage, an apex, to Morphing Zionism. Once the Jewish-Zionist presence in Palestine is secured and internationally legitimized through whatever “solution” benefits World Jewry as a whole, therefore making it a conflict-free base for international Zionism to operate from, the plan to bring forth the real Zionist dream, “Greater Israel,” will kick into overdrive. It must be unequivocally stated that the Jewish supremacists of “Israel” are not happy or satisfied with their current “land allotment.” They want more; they need more; they lust for more. Not until the oil-rich Arab lands encompassing an area that stretches from Nile of Egypt to the Euphrates of Iraq are conquered by Zionism, not until an “Israel Empire” spoken of by one-eyed war criminal and supremacist Moshe Dayan is erected in the name of “the Jewish people,” not until genocide befalls hundreds of millions of Arabs living on those aforementioned resource-lush lands at the Zionist entity’s hands and Judaic prophecy is fulfilled (13), will the Zionist leadership be content. Morphing Zionism will first transmogrify “Israel” into a significantly larger “nation-state” that swallows nearly everything in the Middle East and then, according to the powerful Jewish supremacist group Chabad Lubavitch, an organization that has 4,000 centers across 70 countries and hundreds of CEO-like rabbis aggressively “marketing” their Jewish supremacism worldwide with hundreds of millions of shadowy dollars from the wealthiest members of the Jewish community (14), the Zionist entity will “miraculously expand and will be the size of the entire globe (15).” The Jewish tribal nexus is the herald of Morphing Zionism. It must be exposed then shattered so the cycle of deception comes to a screeching halt and the “anti-Zionist” Jews who are a major part of this nexus must be expelled from the ranks of the International Palestine Solidarity Movement for they are doing much more harm than good as it is clear where their loyalties rest. Nobody who identifies as “pro-Israel” has any right to speak on behalf of Palestine and they never, ever will. “pro-Israel” is praising these crimes. To be “pro-Israel” is to be pro-genocide, as evidenced by more than six decades of savage occupation and massacres, most famously the biblical-like slaughters of Arab men, women and children during the Zionist entity’s 2006 July War in Lebanon and its 2008-09 Operation Cast Lead in illegally besieged Gaza, as well as its ongoing criminal siege against the impoverished Strip (16). To be “pro-Israel” is to be pro-racism, as evidenced by any of the tens of laws within the Zionist entity’s system which elevate Jews above non-Jews in racial, colonial, discriminatory fashion; the most recent of which being the “marriage laws” that separate Palestinian spouses from being together to preserve a “Jewish majority” in Palestine (17). To be “pro-Israel” is to be pro-ethnic-cleansing, which has been an ongoing Nakba since illegal Jewish colonization of Palestine began in 1881; one of the most recent examples is the Zionist occupation army’s expulsion of 120 Palestinians (18 families), including 66 children, from the Jordan Valley village of Khirbet Ibzeeq (18). To be “pro-Israel” is to be pro-land-theft, a practice intimately linked to the ongoing Nakba and just as old, as evidenced most recently by the Zionist entity’s decision to demolish a Palestinian community center (which included a children’s playground) in occupied Silwan, al-Quds, in order to make way for a new Jewish-only “visitors’ center” at the City of David National Park (19). To be “pro-Israel” is to be pro-human-trafficking, as the Zionist entity is not just a “prime destination” for this ungodly crime (20), but a global “haven (21),” and it does nothing whatsoever to combat it (22). To be “pro-Israel” is to be pro-terrorism, with a record stretching back more than six decades, including false flag bombings, high-level assassinations, funding and arming proxy groups, subversion, theft, etcetera. The most recent example is the Zionist entity’s bombing of a diplomat’s car in the Indian capital of New Delhi, which “Israel” immediately blamed on the Islamic Republic of Iran in its ongoing propaganda war against the Persian nation (23). To be “pro-Israel” is to be pro-torture, as most prominently evidenced by the gruesome, heinous and inhuman methods used by Zionist occupiers against the defenseless Palestinian people during the First Intifada (24) and the recent exposure of Shin Bet’s history of systematically subjecting Palestinian children to electrocution (25). 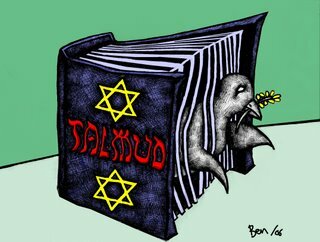 Descriptions of the Zionist entity’s criminality and the twisted ideology that guides it can not just take up mere books but literally engulf libraries. This short list should drive the point home glaringly and proficiently enough. 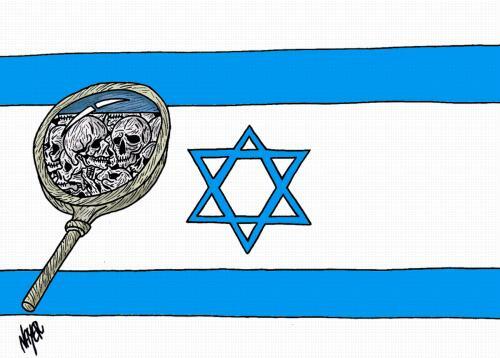 To summarize, to be “pro-Israel” is to be pro-inhumanity; pro-evil. To stand against this monstrous Zionist behemoth is to be pro-humanity; pro-good. One cannot be good and evil at the same time; this is elementary. To be “pro-Israel” is to stand with the enemy Zionist occupier in its furtherance of perpetuating injustice against the Palestinian people. “Pro-Israel” persons are friends of international Zionism; not friends of the oppressed. Anyone who says otherwise is presenting a false dichotomy to benefit the Jewish supremacist agenda. A noteworthy occurrence that is quite central to the point of this essay and, verily, reinforces it to the letter, is the recent onslaught by the Jewish tribal nexus against brother Jihad (Gilad) Atzmon for the omnipresent Zionist accusation of “anti-Semitism.” Brother Jihad’s book, “The Wandering Who? A Study Of Jewish Identity Politics” and his overall philosophy has united Zionists and “anti-Zionists” against him because of his fearlessness in exposing Zionism as the latest manifestation of historical Jewish supremacism. This constant saga of brother Jihad and his detractors has culminated in a group of Jewish Marxists, along with Professor As’ad AbuKhalil (better known as The Angry Arab), signing a petition which eternally damns him as a “racist” and an “anti-Semite” without any explanation for their claims (27), exactly like what the Anti-Defamation League of B’nai B’rith does when smearing or defaming an opponent of Zionism. The ADL agrees with these Jewish Marxists and Professor AbuKhalil on Atzmon (28), as does the rabid Zionist fanatic and professional liar Alan Dershowitz (29). media, religion, finance and politics. Why are these inherently bigoted and racist phrases — in the case of “Islamism” — acceptable to this Jewish Marxist enclave but the phrases “Jewish supremacism,” “the Jew,” “Judaism” and “Jewishness” aren’t? The phrases that they are comfortable with have no basis in any reality, political or otherwise, whereas the phrases that they deem “anti-Semitic,” or “racist,” are quite prolifically relevant and veracious when considering that the Jewish community at large is very much connected to a global, tribal lobbying network that suffuses media, religion, finance and politics (30). For the Jewish Marxists of the Jewish tribal nexus, they are doing their job: embodying the “collective mechanism” embedded in cultural Jewishness to protect “the tribe” when it is under threat and control the Solidarity discourse so the misbehavior of the Jewish community outside of Palestine is kept under wraps. For their collaborators, including the intellectuals, an uncomfortableness is maintained out of fear of being pegged with “anti-Semitism.” Again, ADL-like tactics emerge with prominence. Again, the agenda of “kosher” supremacism, the concept that Jews are literally above criticism of any kind, rears its ugly Zionist head. The matter at hand however is not accusatory pettiness; what is at the forefront, as always, is the truth. Is there truth in what Jihad (Gilad) Atzmon says about “Jewish ideology” being intimately linked with Zionism? 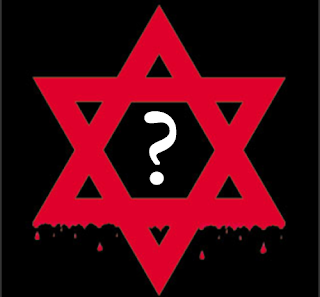 The answer is an emphatic “YES!” and for those persons of Jewish extraction who disagree due to a tribalism installed in their psyche from birth by Jewish supremacist culture, or persons of Gentile background who disagree due to an unprecedented amount of brainwashing at the hands of the Zionist media, the following examples alone eradicate the lie that Zionism is devoid of Judaic beliefs and patterns. Firstly, a copy of Talmudic banking law, which forbids Jews from taking interest from another Jew but requires to take as much interest from a non-Jew as possible, is displayed in all branches of Zionist entity banks (31). Secondly, “Israelis” themselves frankly admit that the Zionist entity is “a country dominated by Orthodox rabbis (32),” and the religious Shas Party of the aforementioned Rabbi Ovadia Yosef has been described as “the unchallenged kingmaker of Israeli politics (33).” And thirdly, “Israeli” Prime Minister Benjamin Netanyahu (real name: Benjamin Mileikowsky) just recently gave United States President Barack Obama the “Book of Esther” in scroll form to justify all-out aggression against the Islamic Republic of Iran (34). The Book of Esther is the foundation of “Purim,” the Jewish holiday of revenge and genocide against Persia, and the stories contained within it frighteningly embody subversion, the triumph of Jewry through lobbying and Jewish supremacism (35). 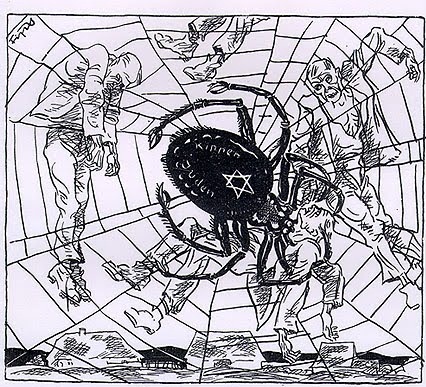 Jewish ideology isn’t just “linked” with Zionism, it governs Zionism. And this is by no means a new phenomenon either; the founder of Zionism was the racist rabbi Moses Hess, a towering figure of Jewish history that has been forgotten (read: censored) by mainstream academics for obvious tribal reasons. The rabbi’s Jewish supremacism inspired him to create Zionism and make his dreams of returning to “Zion” a reality (36). Professor As’ad AbuKhalil, who has tainted his name and credibility by joining the Jewish tribal nexus’ war against Gilad Atzmon, and tainted it even prior to that by doing the ADL’s dirty work in smearing the brilliant Lebanese-American activist, thinker and journalist Mark Glenn (37), recently declared that, “If you find yourself on the same side of any issue–foreign or domestic–with Sen. John McCain, reexamine your positions. Something is really wrong with your position (38).” The professor now finds himself on the same side as the vile, treacherous ADL and the abhorrent Alan Dershowitz. He should take his own advice and reexamine his position because there is “something really wrong with it.” For the sake of the truth, Palestine and humanity as a whole, he should abandon his post as the “token Arab” of the Jewish tribal nexus’ Orwellian Thought Police and encourage others, Jews and non-Jews alike, to follow in his footsteps. Alas, this seems quite unlikely. Just as Britons, Americans, Canadians, etcetera are responsible for the crimes that their imperial governments commit (whether for “Israel” or otherwise), Jews are responsible for the crimes of the Zionist entity because it proclaims itself to be “the Jewish state,” it carries out wars of expansionist aggression in the name of protecting “the Jewish people” and its military and intelligence apparatuses carry the symbols and markings of the Jewish religion. 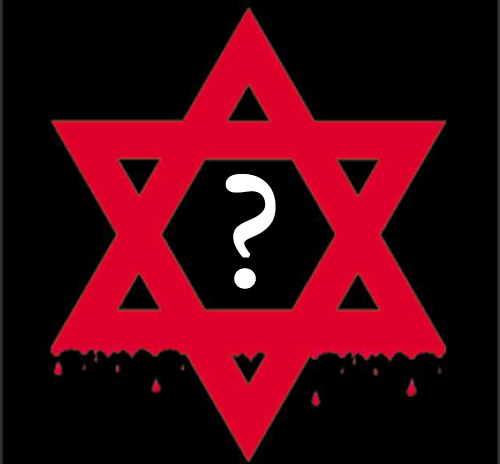 If the usurping Zionist regime does not speak for the totality of World Jewry, then, obviously, World Jewry should speak out as a collective against it. Never has such a collective ever even remotely came into being; not once. In fact, the polar opposite is true. A popular phrase in Solidarity discourse is “Not every Zionist is a Jew and not every Jew is a Zionist.” While this indeed may be accurate, it deserves an addendum. No matter how unsettling it may be, no matter how offensive it may sound, facts are facts, truths are truths. And the facts and truths say, unequivocally, that most Jews, unfortunately, are Zionists; most Jews support “Israel,” a racist, exclusivist, chauvinist “state” built on lies, massacres and dispossession of the Palestinian people; a “state” which discriminates and carries out atrocities against non-Jews on a regular basis. 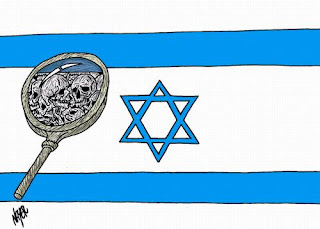 95% of American Jewry supports the “right” of “Israel” to be a “Jewish state (39), which, for the record, has no legal basis in any reading of international law whatsoever; this is an invented “right” to suit the dementedness and Jewish supremacism of Zionism (40). 90% of British Jewry sees Palestine as the “Jewish ancestral homeland,” 95% have visited the Zionist entity and 86% sees Jews as having a “special responsibility” of ensuring the “survival” of the Zionist entity (41). The “survival of the Jewish state” construct and the “Jewish wars of survival” idea are exclusively “Israeli” ideological developments that have been around since the Zionist perpetration of the Nakba and represent the foundational basis for the Zionist entity’s perverse falsehood-filled “war of independence” narrative (42). Does it not speak volumes beyond volumes that the overwhelming majority of these premier blocs of Western Jewry, which, is for all intents and purposes, the bulwark of World Jewry, is inextricably supportive of the Zionist entity? And is it not worrisome that this kind of “moral” and financial sustenance goes to a supremacist society hellbent on destroying one Islamic country after another? More than 90% of “Israelis” supported the genocide that Zionist occupation forces carried out in Lebanon during the 2006 July War (43). 94% of “Israelis” supported the genocide that the Zionist occupation army carried out in illegally besieged Gaza during Operation Cast Lead (44). 71% of “Israelis” want to see America destroy the Islamic Republic of Iran on behalf of the Zionist entity (45). And 70% of “Israelis” view themselves as the superior race on planet earth, “God’s Chosen People (46).” It is typical for supremacism to go with supremacism like lions go with lions and bears go with bears; “Israeli” Jewry and Western Jewry are connected at the hip in unity. Beneath the struggle against Zionism is the struggle against its parent company, Jewish supremacism, and as esteemed Jewish Holocaust® revisionist Paul Eisen recently wrote in a plea to his brethren to examine their behavior over the last 2,000 years, behavior that has led to so many expulsions and millennial enmity between them and Gentiles (48), Jews must free themselves from this exclusivist way of thinking and join humanity in the struggle against all forms of oppression. Whether World Jewry wants to admit it or not, the Zionist entity will indeed disappear from the pages of history soon and the people oppressed by this demonic usurping creature in the heart of the Islamic world will have the freedom to once again live in peace, harmony and friendship, as they did prior to the advent of Zionism, insha’ALLAH khair; it would be foolish although typical of the ghettoized mindset of tribalism to remain part of the international Zionist network futilely attempting to ward off the inevitable. And so we shall end where we began, with the words of Messiah Jesus (A.S.), “No man can serve two masters: for either he will hate the one, and love the other; or else he will hold to the one, and despise the other.” With that said, which master will Jews serve? Humanity, in the name of the Creator? Or inhumanity, in the name of “the tribe?” Let there be hope that the aforementioned 2,000 years of history will not be an indicator of what choice will be made but if it is, let there be vigilance in the pursuit of justice against this supremacism and its imperialism which has tormented the Holy Land for far, far too long.